"The K-Station is a whole new take on the original Bass Station Keyboard that put British synth makers Novation on the analog synth map! 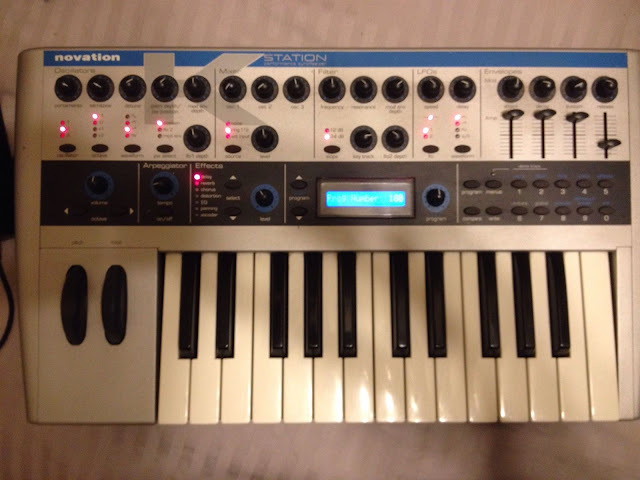 Essentially, the K-Station is an extremely well laid-out and superbly designed 2-octave keyboard version of their A-Station rack module. It features 8 voices of analog modeled sounds with FM, 12-band vocoder, arpeggiator, reverb and delay effects, 400 user rewritable program memories, and more. Unlike the crowded interface and puny LCD display screen found on the A-Station, the K-Station has a beautiful layout with easy access to its knobs, sliders and buttons. And finally there's a large LCD display! It has 25 knobs for real-time control, and all knobs transmit MIDI controller messages. 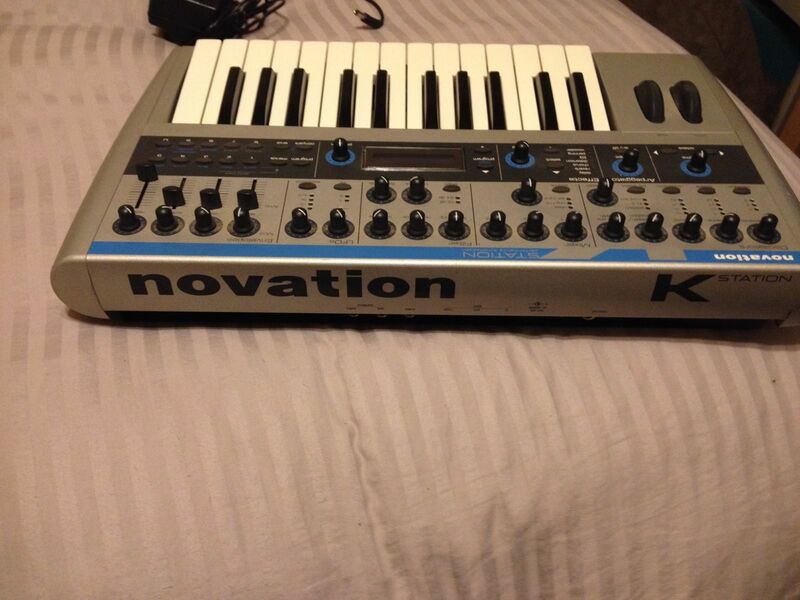 The K-Station has three oscillators which provide sawtooth, triangle, sine, pulse width modulation and other waveforms. 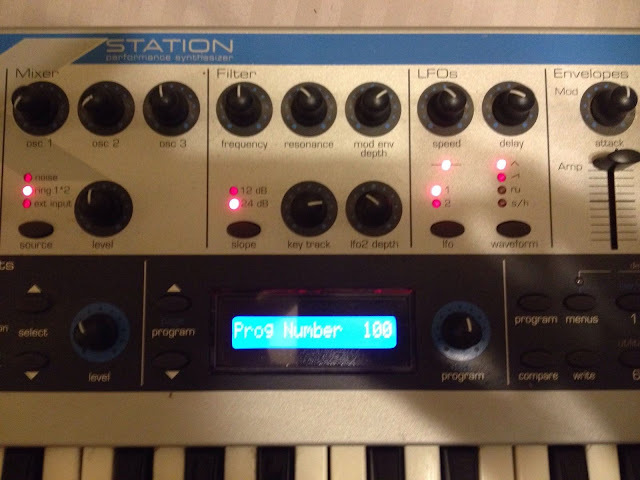 There's even a simple FM synth engine which can be dialed in for sharpening the sound. Oscillators may be set to Unison or Sync'd operation and a Noise source is also included in the waveform engine. There is a nice lowpass resonant filter with switchable 12 or 24dB/oct slopes and ADSR controls. A second ADSR envelope is available for the oscillators, as well as two LFOs with sample-and-hold and MIDI sync."